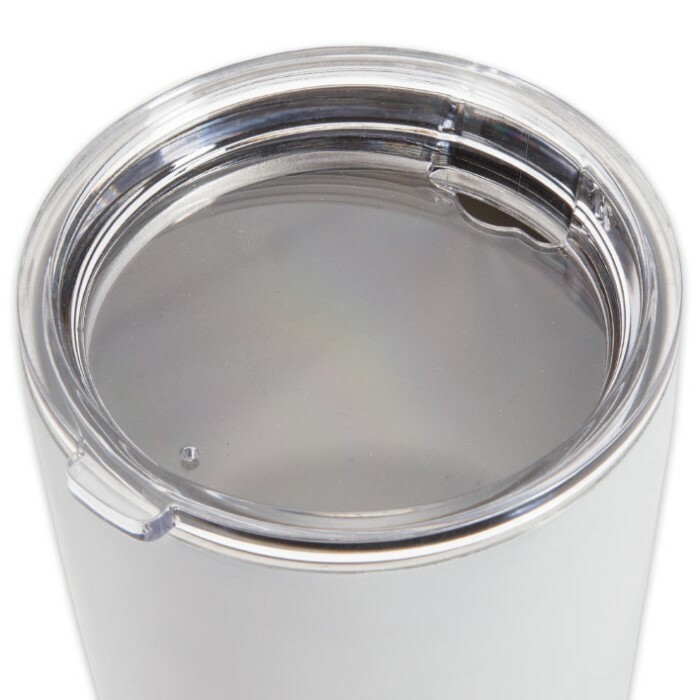 Large Double Walled Matte White Insulated Tumbler- 30 Oz | BUDK.com - Knives & Swords At The Lowest Prices! On hot days iced drinks poured in ordinary cups quickly turn to an unpalatable dilution, and the vessel itself becomes annoyingly slippery with condensation. Likewise, on cold days, hot drinks turn unpleasantly lukewarm in typical mugs. Enough is enough. The Large Double Walled Matte White Insulated Tumbler can hold ice for up to 24 hours, even during the dog days of summer; it also keeps coffee, tea and cocoa piping hot for hours during winter’s chill. 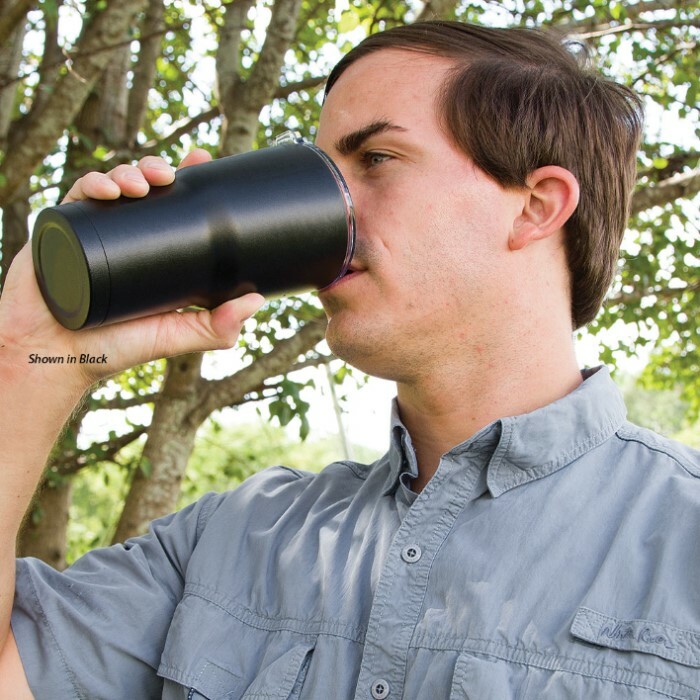 Its ergonomic, narrow-to-wide design lets it fit easily in most cup holders, and the lid fits securely, preventing spills. 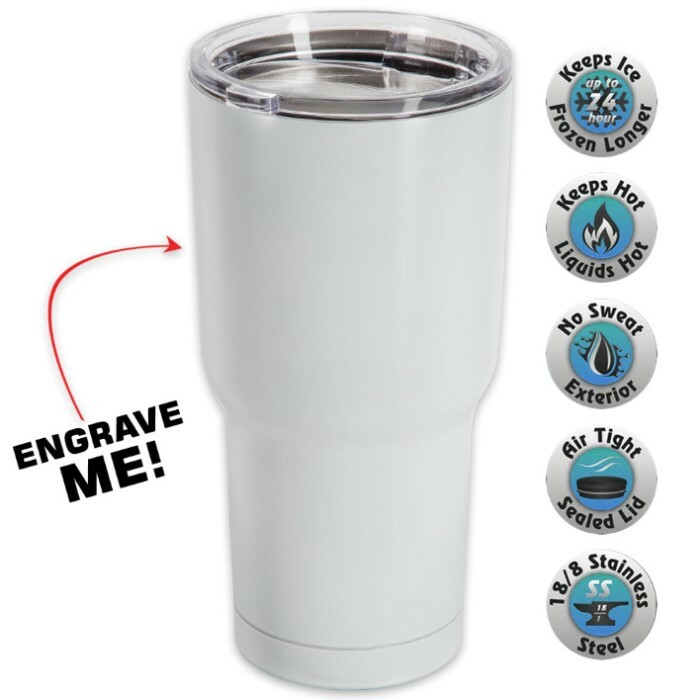 Essential for outdoor workers or anyone who prefers their cold drinks cold and hot drinks hot.